Can Working a 40-Hour Workweek Affect Your Health? 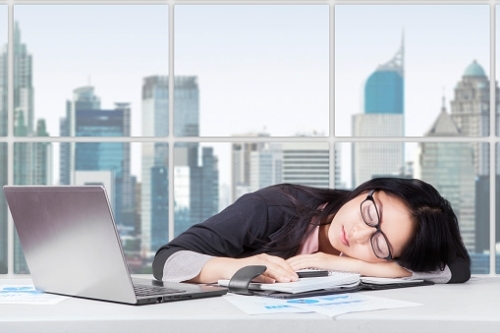 Home » General Health » Can Working a 40-Hour Workweek Affect Your Health? Working 40 hours or more a week? It might be adversely affecting your health, a new study shows. While many North Americans are working increasingly long hours—some over 60 hours per week—to make ends meet or build wealth, they run the risk of injury, poor performance, and cognitive decline. And although this might seem obvious, a research team from the University of Melbourne, in Australia, has recently pinpointed the moment when your working time becomes a health detriment. The research team from Australia discovered that a three-day work week, or 25 hours, is the ideal time a person should spend working to delay cognitive decline and keep themselves fully engaged. The researchers looked at about 3,000 men and 3,500 women in Australia, and learned that part-time work does the best job at reducing stress, avoiding exhaustion, and keeping the brain stimulated. They even found that people who are unemployed had better cognitive abilities than people working 60 hours per week. Hard work and long hours, therefore, can expedite aging and limit mental stimulation, learning ability, and memory. Of course, if you’re working 45 to 60 hours per week you’re probably not doing it because you want to. Life is expensive and jobs that allow people to make ends meet are scarce in today’s economy. And the abundance of skilled workers seeking employment means the cost of labor is relatively cheap. At the end of the day, you simply might not be able to afford working only 25 hours a week. But thankfully, 25 hours per week was the best-case scenario and there doesn’t appear to be significant drops in cognition in people working up to 39 hours per week. But once you hit 40 and beyond, the decline is significant. Take vacation days: One of the most important is to take some time away from the job. If you have vacation time and sick days, take advantage of them to give your mind and body a rest; you deserve it. Turn off your smartphone at end of day: Turn your smartphones and computers off at the end of the workday. Technology has made people feel as though they are on call 24/7 when they don’t have to be. When you leave work each day, leave the emails and texts until tomorrow. And here’s a little fun fact you might appreciate: in Germany it’s illegal for employees/employers to contact workers outside of work hours. Meditate: Include 20 minutes of mindfulness meditation into your day. Doing so can help you clear your mind, reduce stress, and improve your ability to learn and remember. BBC Staff, “Three-day working week ‘optimal for over-40s’,” BBC web site, April 18, 2016; http://www.bbc.co.uk/news/business-36069754, last accessed April 21, 2016. Kajitani, S., et al., “Use It Too Much and Lose It? The Effect of Working Hours on Cognitive Ability,” Melbourne Institute Working Paper No. 7/16, February 2016; https://www.melbourneinstitute.com/downloads/working_paper_series/wp2016n07.pdf, last accessed April 21, 2016. Vasagar, J., “Out of hours working banned by German labor ministry,” The Telegraph web site, August 30, 2013; http://www.telegraph.co.uk/news/worldnews/europe/germany/10276815/Out-of-hours-working-banned-by-German-labour-ministry.html, last accessed April 21, 2016. Shierholz, H., “Is There Really a Shortage of Skilled Workers?” Economic Policy Institute web site, January 23, 2014; http://www.epi.org/publication/shortage-skilled-workers/, last accessed April 21, 2016.